What did you change to get the 8-8-8 stable, Lsdmeasap? I am not sure how stable that is, but for sure better than the previous attempts where I couldn't even reboot upon saving. I switched slots, and updated to the BIOS that just came out (F7d). 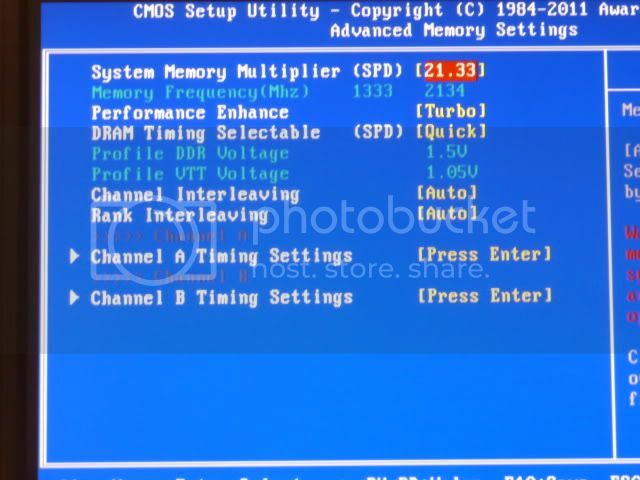 I don't think the BIOS had anything to do with it, more likely the slot move I'm thinking, but I could be wrong. 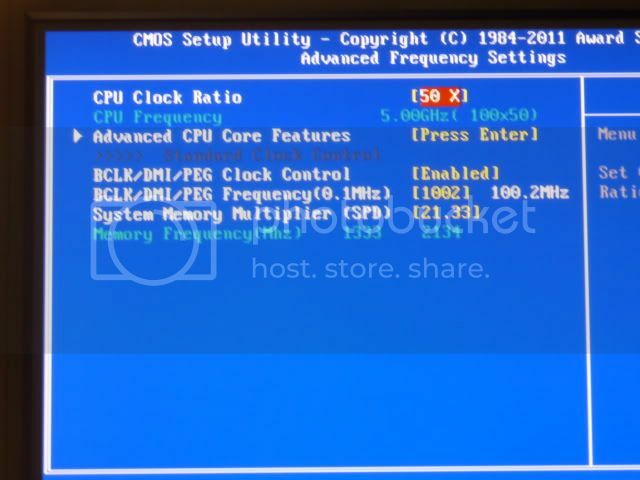 I'll test later tonight back in slots 1+3, and with the older BIOS back on 2+4 and see which move it was that made it bootable. 777-24 still a no go though no matter what, and since others can do it easy with similar memory I really think that whether these speeds are going to work for a user or not is going to depend on the CPU itself. 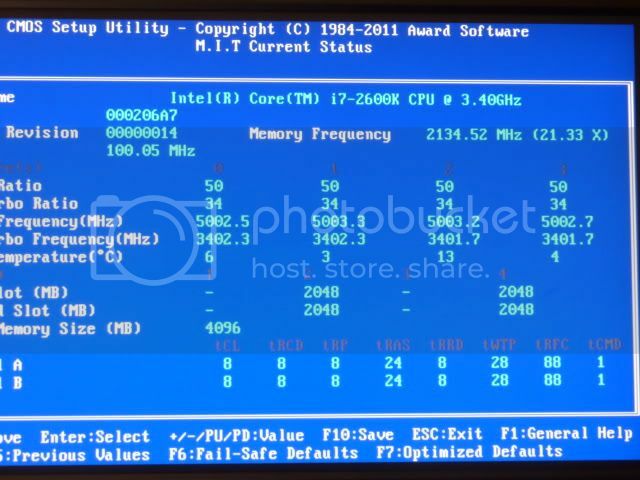 Please,can you post your setting for UD7...(RAM Standard or Turbo),LLC1/LLC2,etc...thanks. 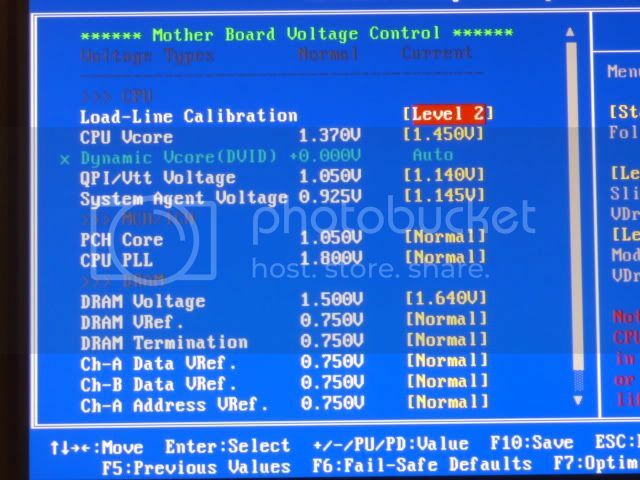 I am also on F7d,DIMMS are in slots 2 & 4 and looking for 24/7 with DIMMs at 1.66V. Woo,System Agent 1.1450V,will try your setting. Super PI 1m passed,will try 32M. With this setting I have load Core1 50% and Core3 30% all the time ?! SetTurbo Boost to Disable and no load on cores. Super PI 32m freeze on start. Last edited by stasio; 01-19-2011 at 07:01 PM. Last edited by dinos22; 01-19-2011 at 06:46 PM. Dino,how far you can go with 1.66vdimm? 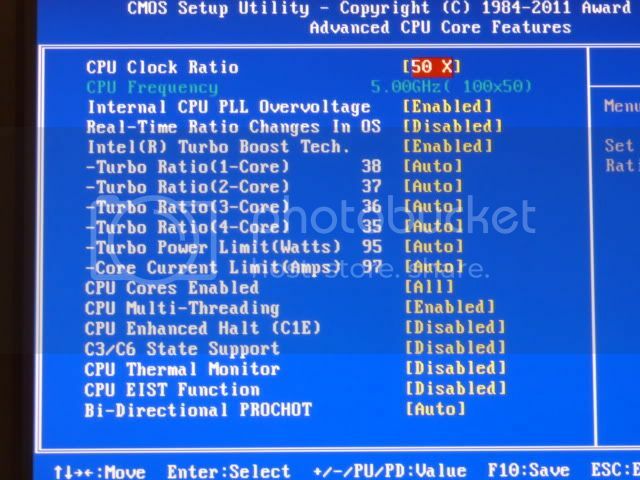 So if this is a needed setting change for some clocks hopefully Gigabyte will increase the allowed amount on this. 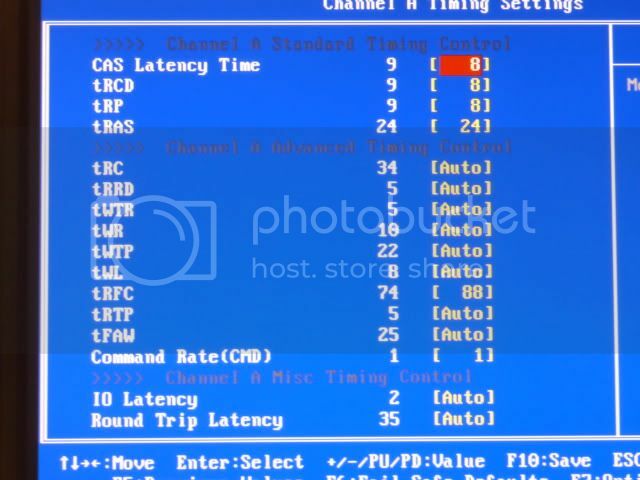 It's too bad all CPU's wont take high QPI/Vtt, the one I have stops booting at 1.2, sometimes I can get 1.22 to post but not often. I always use extreme on the performance enhance, do you think that holds me back? I know on X58 and P55 it was the most stable and provided the best bandwidth for sure! Hey, would you mind passing this info along to the BIOS guys and see if they can address this in our BIOSes, or add the optional setting, I think it applies to us as well. I'm about to try out SS on one of these setups, I know many say it doesn't clock well like that, but since release I have seen quite a few using phase with positive results. Seen anyone on Dice or Ln2 with these yet? Last edited by Lsdmeasap; 01-19-2011 at 07:26 PM. @Dinos22: have you tried the Hypers on slots 1 and 3? I've tried PSC chips on both 1/3 and 2/4 and have good results. Haven't tried the Hypers on 1/3 yet. Does the cpu batch have anything to do with this? Any difference if you run 5 GHz? 1+3 is what initially gave me issues too! I'll be going back to verify though, but it does seem like 2+4 is better. Hmm,I mean 5GHz and above you can still run 1067MHz 7-7-7-21-1T 32M. What's the current record Bclk? Thanks. I'll try this with the Hyper when I get back later today (UD7). My Super Talent 2000 CL7 will will run 2133+ 8-8-8-20 T1 thru all benches except for spi32m.